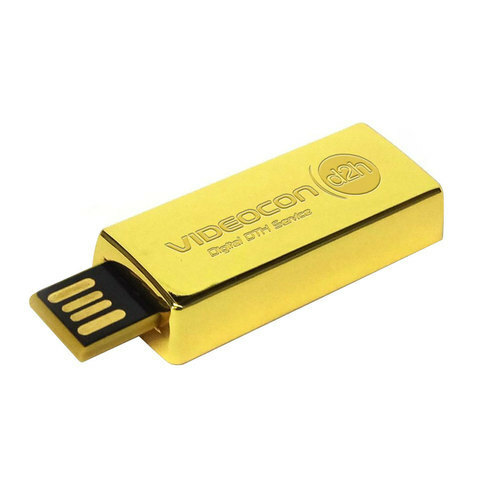 This good looking pen drive looks like a real gold bar when it is inserted in the PC. It is compatible with all the operating systems. It comes in the standard sizes from 4gb to 64gb. The imprinted surface is of metal with gold like colour. Our firm was established with an aim of trading of Wrist Watch, Key Chain, Sun Glasses, Corporate Diary, Desktop Calendar and many more. We “Kamal Watch & Gifts” had established our firm as a Sole Proprietorship based company in the year 2013 that is engaged in providing quality assured products to our clients at Hyderabad, Telangana.These products are known for their excellent quality and affordable prices.